I laid back on the table, trying desperately not to look at the screen. The nice technician was rolling the cold ultrasound gel around my growing belly. I shouldn't be nervous, I had been here 3 times before, all with the same result. 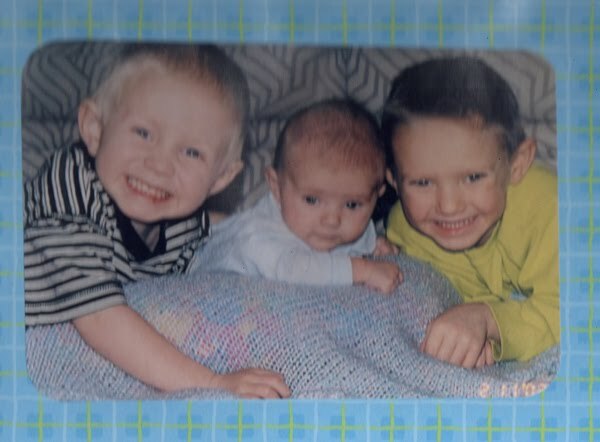 I had 3 beautiful, blue eyed boys at home to prove it. But this time was different...this time was the last time...and this time...just maybe...possibly...it was a 50/50 chance right?....this time it could be a girl. I was rambling on about how all our friends and family were anxiously waiting for the phone call....everyone was wanting to know...but I was sure it was another boy...there was nothing that felt different about this pregnancy...wow, life with 4 boys was going to be crazy...the nice technician interrupted me...."Look Mom" she said. Although I would love to say that my first thoughts about having a daughter were thoughts of the teachings, the love, the legacy I would pass along....I can't. I just can't. Wanna know what passed thru the mind of a shallow woman who had been raising 3 boys for 8 years and just found out she was having a girl? 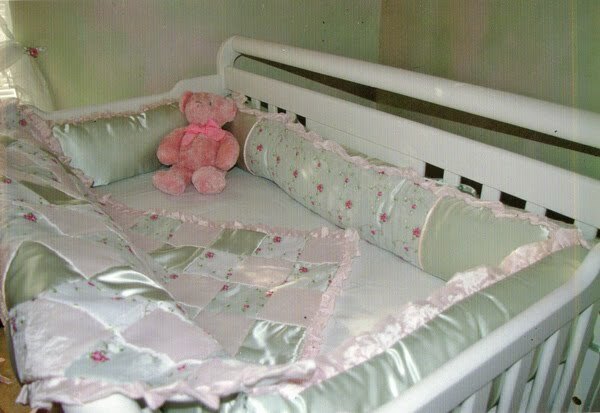 "I get to decorate a baby girls room!" Yep. That's all that I could think about...the rest of the day was a blur...in fact, the next 4 months were filled with nothing but shopping, weighing shabby chic vs. pastel princess themes and spending countless hours on ebay discovering a whole new world of PINK! 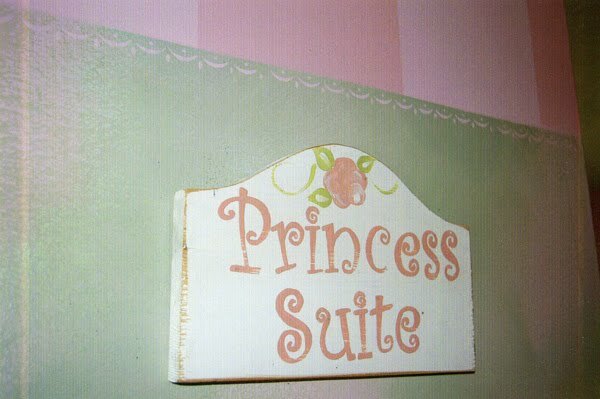 Of course, we quickly nicknamed "the room" The Princess Suite. So when I saw this crafty sign on ebay it began the obsession. 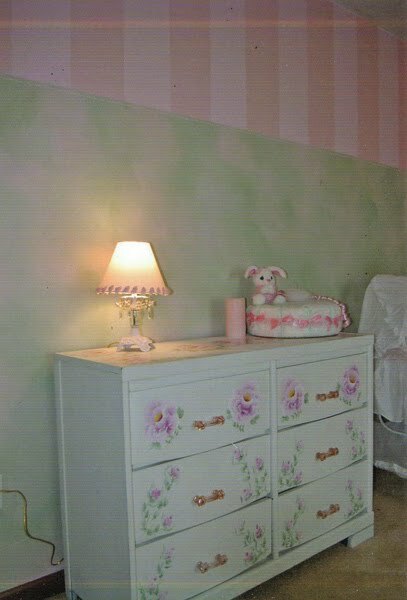 I found a hand-painted dresser on ebay and had it rush shipped! ...I didn't care that it barely gave off any light! I would walk in that room all day long and just imagine the tea parties, baby dolls and playdates that would soon be happening in the Princess Suite. 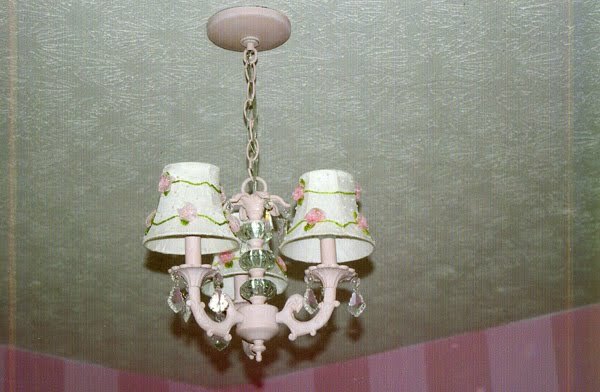 This is what the Princess Suite looks like today. Those photos make my heart hurt. On this day 5 years ago my Princess was born. I've had the tea parties....I've played with the baby dolls...there's been countless playdates filled with laughter and tiaras and lots of pink. I've loved the last 5 years with my Princess and my Princes. What a beautiful post. 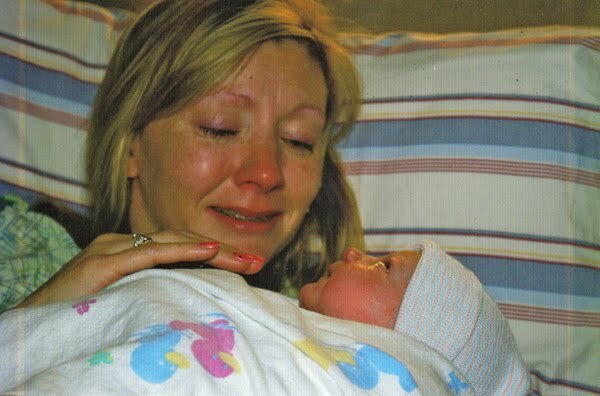 I love the photos of you meeting your little daughter... what a beautiful moment! a great post ..... yes and can relate to the bedroom chaos too. 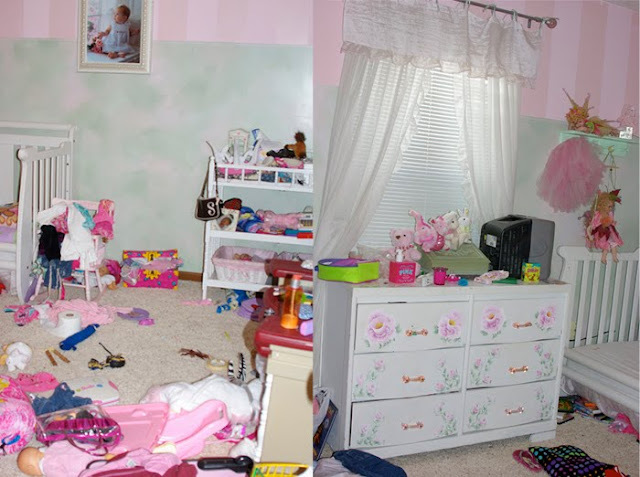 my 'princess' was 39 last week and yes, her room looks just like that even today! It's bittersweet, isn't it? Beautiful post . . .
Aww.... Christy... Very heart touching!!! I remember thinking the same way when I was pregnant with Sabrina... 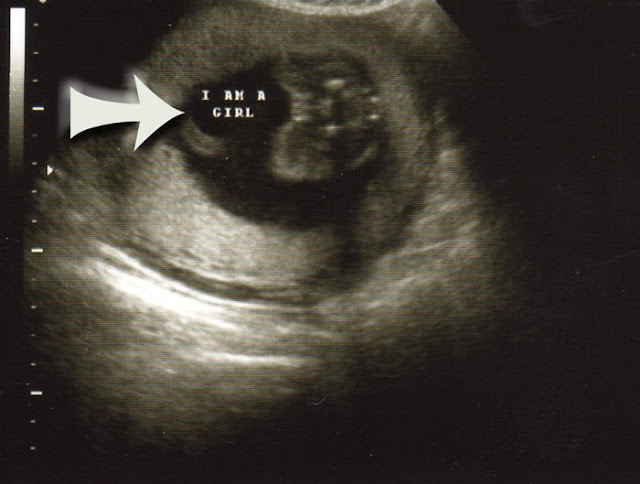 I thought my first just has to be a girl....Then I would totally get a boy... Well Lets just say as you know... The girls just didnt stop coming!!! I love being the mother of "3" Girls!! 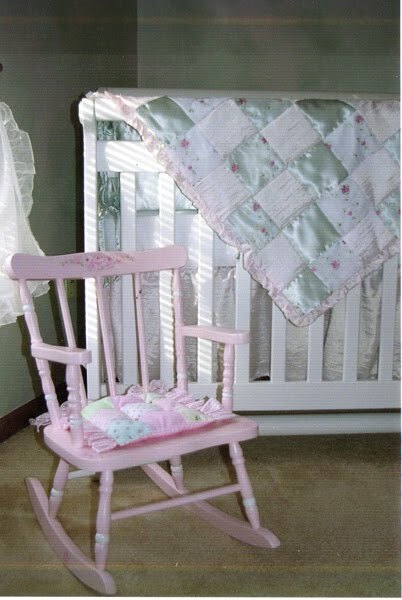 I love the lace, ribbons, tu tu's, dolls, drama, fits, crying, whyning, did I say drama yet.... Well lots of that :) I love it all :) We are so blessed to be raising future mothers, wives, and everyting else us women do :) (Which is EVERYTHING) :) God bless. I rolled when I saw the before and after. That must run in the family! Great post! LOL! What a sweet story. I have two boys. One will turn 24 next month and my youngest turned 18 in December. It's stories and photos like you just shared that make me consider having another child. A girl perhaps? You almost made me tear up! :) What a sweet story!